I’d like to begin by thanking Ricky for another excellent fromage recommendation (see “Chimay with Beer”, 5 november 09). Typically, my comments about his cheese would appear as such, and would follow his original post. But something rather atypical has occurred: although our tasting was planned around sampling Ricky’s belgian treasure, a new fromage was inadvertently discovered… a wonderful and tantalizing fromage… a fromage that warranted – no, commanded – its own post. 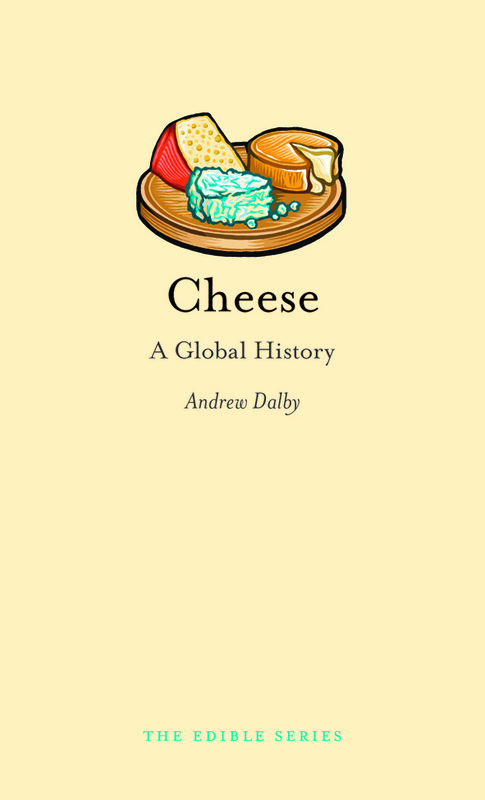 If you care at all about cheese, read on! Earlier this week, a modest contingent of fromageophiles gathered in the bastion of pinko commie liberalism that is berkeley, california in order to taste this so-called “beer cheese” of Ricky’s. In the interest of variety and to keep our beer cheese from growing lonely, we decided to add another cheese to the board. Staying in the boozy vein of washed-rind cheeses, we selected a little cheese called “Affidelice” (ah-FEE-duh-leece). Our fromage accompaniments included baguette slices, flatbread crackers, and medjool dates. We also opted for two beverage pairings: a Chimay Red, because it matched our Chimay cheese, and a Beaujolais Nouveau, because, well, it had arrived. The Chimay cheese was sampled first, and Ricky had not led us astray. It’s a subtle, midly-flavoured, creamy-yet-firm fromage. I definitely tasted the hint of beer, which was intensified by actually drinking some of the very beer it had been washed in. (Somewhat meta, that.) I agree with Ricky that the bitter, salty rind adds a dimension to the flavor, but I found it to be a rather unpleasant dimension. The texture of the rind was quite strange – a bit like eating wet paper. I avoided the rind from there on out and found the cheese quite enjoyable. Affidelice’s presentation also seems worth noting. 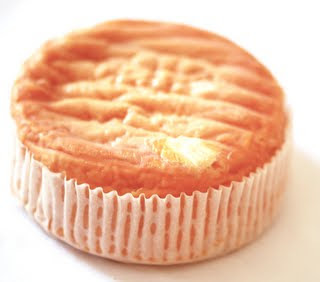 It comes in a small, round, wooden box and is further swaddled by a paper wrapper – a veritable fromage cupcake! The rind has a deep orange color, looks slightly runny and wet, and smells so pungent that certain cheese merchants have warned their customers not to be alarmed. The inside of this cheese would be best described using words like “creamy”, “oozy”, and “gooey”. No crumbly morsels to pick up with your fingers here; this fromage is downright spreadable. With our visual and olfactory inspection complete, we spread the cheese goo onto bread and crackers and moved on to the tasting. I must say: this cheese is nothing short of stunning. Unbelievably smooth and supple, with a tanginess that is simply sublime, this savory fromage satisfies the cheese-lover in me. I even enjoyed the rind, which is a near-first for me. It’s pungent without being too pungent, and its tanginess is formidable without being selfish – when I returned for another bite of the Chimay cheese, I was pleased to discover that its subtlety hadn’t been overshadowed by its oozy cupcake companion. This is no small feat for a strong and stinky cheese. Affidelice, c’est magnifique. 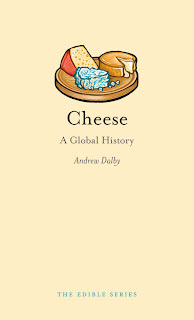 Cheese: A Global History by Andrew Dalby just hit the shelves. We'll have a review up shortly, but in the meantime if you're interested in purchasing this book we have a special offer from the publishers: Fromage du Mois readers receive a 20% discount when ordering online! If you're shipping to the United States go to the University of Chicago Press and use code AD9299 during checkout. Readers in the UK and Europe should go to the Reaktion Books website and use code ED0103 during checkout. Cheeses that are prepared with beer have become more and more popular since the rise of artisanal cheese production worldwide. In the both the Midwest and the Pacific Northwest of the U.S., for example, there are many examples of popular preparations combining these ingredients. Some of them are in the form of a 'cheese spread', where the beer is added mostly as an adjunct flavor, while others integrate the beer or ale in to the production process, producing of a more flavorful and finer hard cheese; this award-winning Chocolate Stout Cheddar from Oregon is one of the latter. Although beer and cheese seem at first to be at odds, they actually compliment one another nicely. We think it is the contrast of the richness and creaminess of the dairy with the bitter and bubbly composition of the hops and trapped gas that makes for a great mouthfeel. After a brief hiatus from Fromage-du-Mois posts, we decided to write about an excellent and hard to find 'beer cheese'. While most are familiar with the Chimay Brewery which produces Trappist beer from southern Belgium, you may not know that they also produce excellent cheeses. In fact, they make 5 different cheeses , each with an ostensibly unique flavor. The one we recently tried is called, "Chimay with Beer". It seems the only one of the 5 made with the beer itself. Limited research shows that it is also fairly rare in the United States. This cheese is a semi-soft, cow's milk cheese whose semi-hard rind is formed from several, repeated washings with Chimay beer. The flavor then naturally soaks in to the curd itself. According to the official Chimay website, the monastery has been making cheese since 1876 and in recent times has modernized their production equipment. Even with new technology, they argue the taste has not been compromised: the milk still comes from cows who graze along the rivers near the small town in Belgium and it is still aged for 4 weeks in the cellars of the monastery. We concur. The cheese itself: it is a very mild and not as strong as some others in its 'genre' of semi-soft, like Taleggio or Scamorza. The texture of the cheese is close to that of a firm brie. It has a distinct flavor, with hints of sweet beer and meaty nuts. The yellow-orange rind tastes somewhat bitter and salty which adds another dimension to the flavor. Chimay cheese has an outstanding all-around taste. Although we had it plain, off the tip of the knife, we think it would probably go very nicely with.....well....with a tall glass of a Belgian beer.